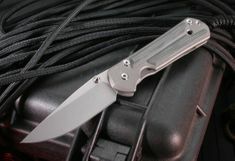 Chris Reeve Small Sebenza 21 folding knives for sale. 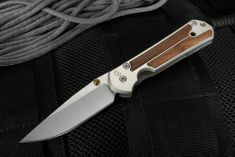 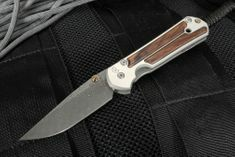 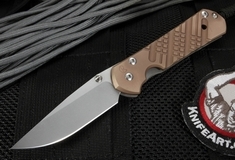 The Chris Reeve Small Sebenza 21 is the folding knife that has become the gold standard, the folder that other knives aspire to come close to matching. 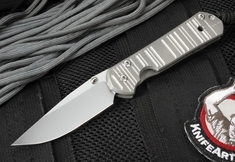 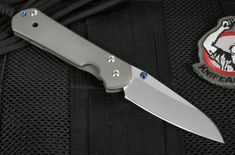 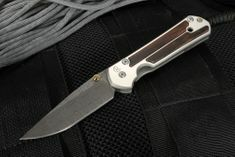 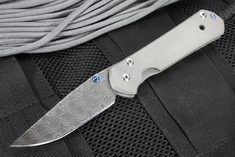 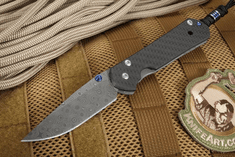 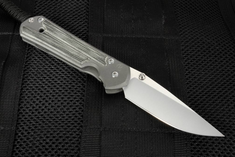 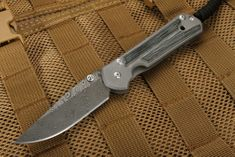 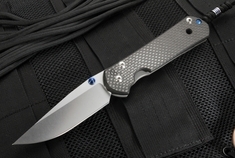 The 6.875-inch Chris Reeve Small Sebenza 21 has a 2.94-inch blade that is 0.125 inches thick. 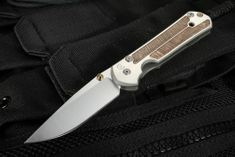 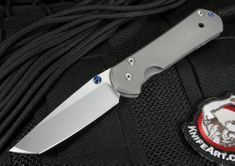 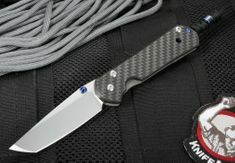 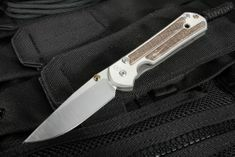 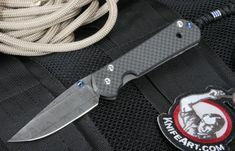 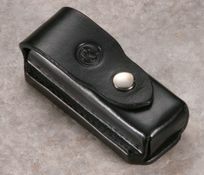 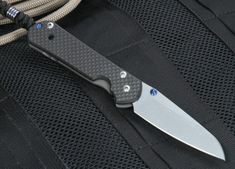 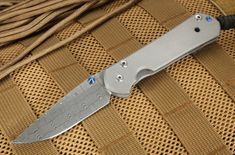 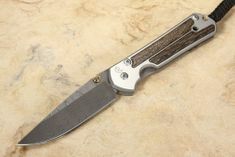 The sharp and precise blade is constructed from S35VN stainless steel with a hollow grind and its finish is polished. 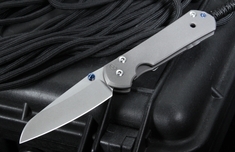 Every Small Sebenza 21 has been fitted individually to the closest tolerances. 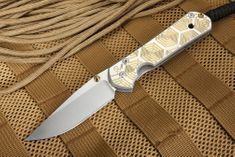 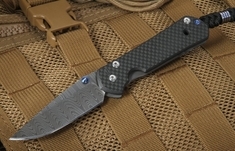 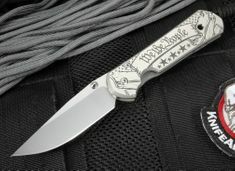 And the styles range from plain with a stonewashed S35VN blade and sand blasted handles, or spruced up with a polished or Damascus blade, wood inlay or ornate graphics. 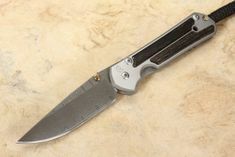 This folding knife has been around for nearly 30 years. 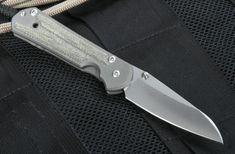 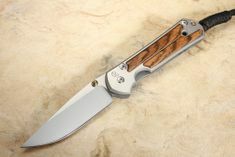 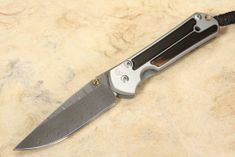 Chris Reeve developed a line of sebenza knives in 1987. 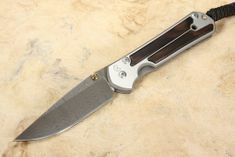 After his original handmade prototype, Reeve produced the Original profile in 1990, the Regular in 1996 and the Classic in 2000. 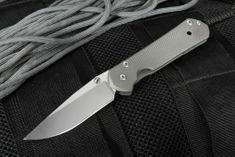 The Sebenza 21 was introduced in 2008 and is an update on the original Sebenza design, only this one has been made with more convenience in mind. 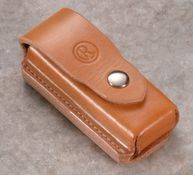 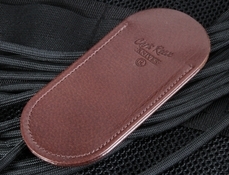 It's a lot easier to insert into a pocket or pouch now. 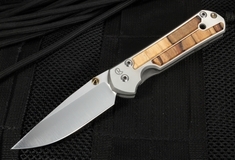 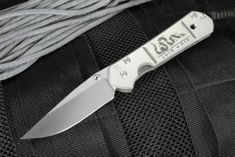 When you review the sebenza folding knives, you notice that some have graphics machined into the handles and then either color or texture contrast provide a visible enhancement. 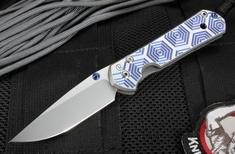 The process of anodizing, which requires passing an electrical current through the titanium handle so that a layer of oxide forms on the surface, accounts for the different colors on the handles. 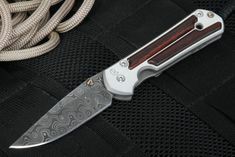 Some of the truly impressive inlay options that can really put this sturdy knife's appearance in a class by itself are cocobolo, bocote, Gabon ebony, micarta and insingo. 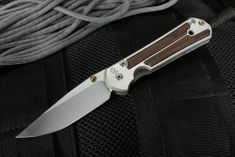 Every Sebenza knife is available in large or small, and dedicated right- or left-handed.